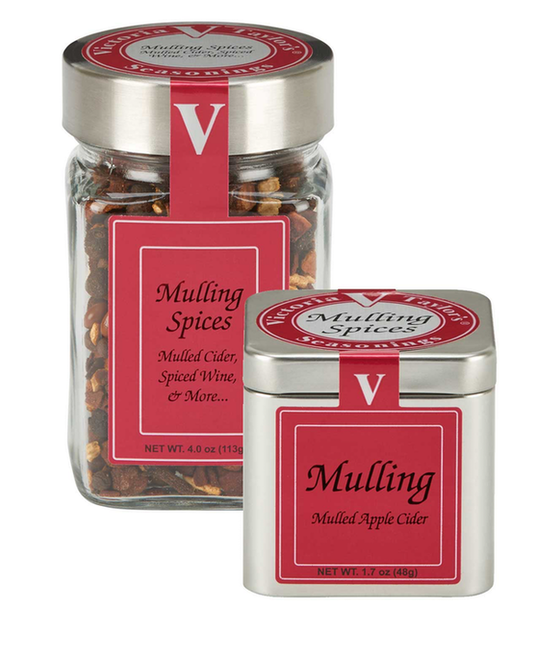 Victoria Taylor's Mulling Spices are a wonderful balance of cinnamon, allspice and cloves rounded with citrus notes from orange and just a hint of licorice from star anise. The aroma of mulling spices brings images of Fall and a hot cup of Mulled Apple Cider. Use these mulling spices in traditional recipes such as Mulled Cider and Spiced Apple Sauce or try Victoria's unique take on baked ham with her Honey-Glazed Ham with Mulling Spices recipe. Mixed spices (cinnamon, allspice, anise, clove), orange peel, cinamon and anise oil, orange oil.